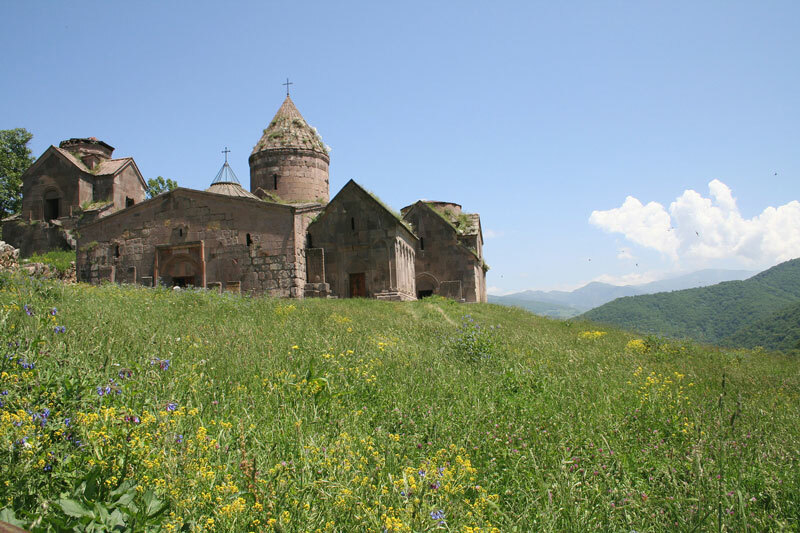 The earliest building is the Church of the Virgin (1191-1196). On the church's western side is a large four-column gavit (1197-1203). The other church is St. Gregory (1208-1241) near a small chapel named for St. Gregory the Illuminator (1237) the portal and decorative arches of which exemplify the architect’s remarkable taste and décor. A 13th century book depository, its roof resting on criss-crossed arches, was later topped with a belfry (1291). 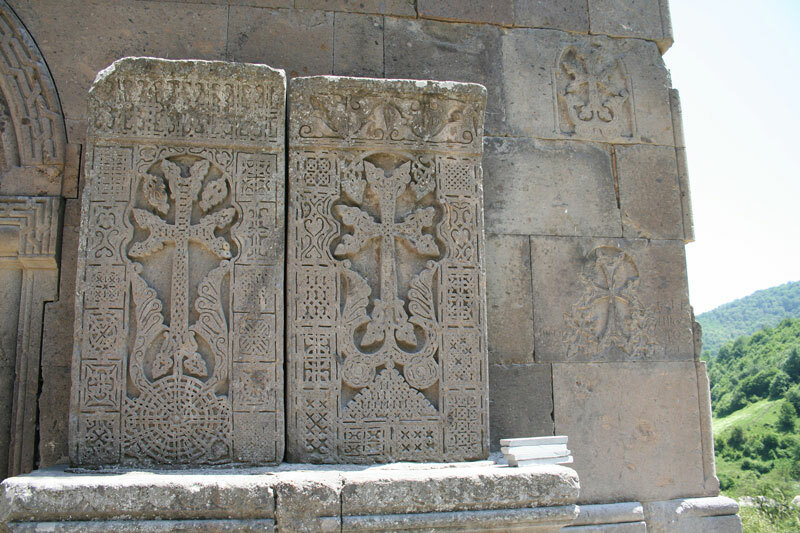 A number of small chapels complete the site, surrounded by delicately carved khachkars, works of the master Pavhos (13th century), one of which is displayed now in the State Museum of Armenian History.